Office away days with a WOW! An event is something that brings people together – we like to think we have an art in doing just that, whatever your budget. All activities are delivered by Adventure Carrick, meaning we don’t pay anyone else to deliver your event, passing the savings onto you. We have “off -the- shelf” breakout style events and activities for convenience and value, or we’ll create a completely unique experience to compliment the nature of your business or objective. Canoeing is a superb way to explore some of South West Scotland’s finest inland lochs and rivers. The explorer session is a full day out which can be tailored to suit families, couples and groups looking for a day out adventuring. We blend Bushcraft with survival skills to create an fun but relaxed activity. Escape and find yourself in the forest by joining our team of instructors for a day of LIVING WILD. 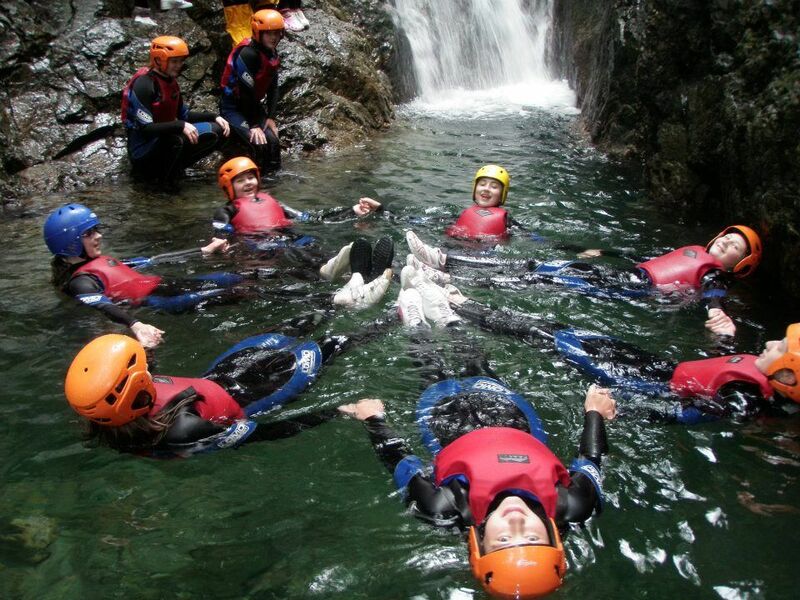 Our Coasteering Explorer session is designed for those looking for more of a THRILL than CHILL. Our activity location is perfect for exploring rock pools, coves and of course jumping into the sea. The isle of Arran is commonly called Scotland in miniature. With its majestic peaks rising from the sea coupled with sweeping bays and deep glens, Arran is a ‘must see’ for any visitor to the area.